This unique lodge was built in the early 1920s by the same man who designed and built other classic park lodges across America including the Awahnee Hotel in Yosemite. Excellent dining, cozy cabins and built directly on the cliffs of the Grand Canyon's north rim, The Grand Canyon Lodge - North Rim is a Motion Must Do. 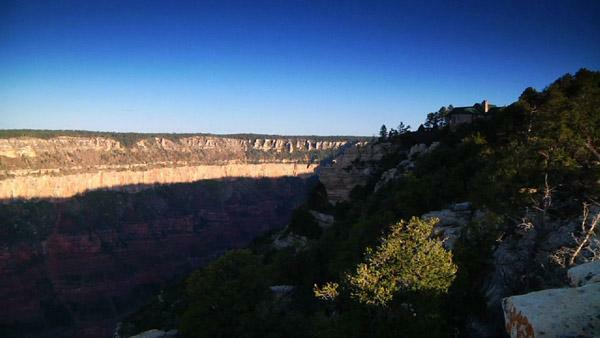 Most people that visit the Grand Canyon see classic views from its southern rim. But a 5 hour drive from Las Vegas, through incredible stretches of desert landscapes in Utah & Arizona, will deliver you to the remote north rim and an experience you will never forget. The road to Cape Royal is filled with scenic stops, stunning views and a side-trip to a jaw-dropping look at the depths of the Grand Canyon from its highest rim overlook, Point Imperial.